Modern indoor plumbing may be a blessing. But you still have to contend with common plumbing problems like clogged sinks and drain odor. You spend a lot of money to rectify these problems. From drain snakes to plumbers, you can count this as one of the costs of modern convenience. But what if there was a preemptive solution, which is probably why you are reading this Sani Sticks review. Sani Sticks may be that solution. But do they really work? Find out before you buy. Keep reading and decide for yourself if you are going to switch to Sani Sticks for your plumbing upkeep. Sani Sticks are 100% enzyme sticks that keep your water flowing freely and your pipes odor free. These “super concentrated” sticks allegedly make it possible to keep your drains free from clogs all year long. The manufacturer claims that these sticks can stop virtually any clogging agent from building up in your pipes. And using these sticks regularly may stop potential sink backups and clogs. In addition, Sani Sticks are also available in various scents. So in addition to clearing up greasy build-up, it also leaves a pleasant scent. How Do Sani Sticks Work? The main working ingredients behind these sticks are the enzymes. What are enzymes? They’re molecules that speed up the rate of chemical reactions. Some types are good at breaking down substances at a molecular level. You’ll find these types of enzymes in your favorite drain cleaner because they essentially “eat” through build-up. The maker of Sani Sticks has not disclosed what type of enzymes are in the sticks. But it may be something similar. What are Sani Sticks Made Of? Sani Sticks are safe for use on all drains and septic tanks. They are advertised as 100% enzymes. And they are also biodegradable and natural. But the exact ingredients are a tight kept secret. For those of you who don’t want an extra scent coming from the drain, Sani Sticks are also available unscented. Furthermore, you can drop the sticks in any kitchen sink, bathroom tub, or utility sink. And you only need to add a new stick each month. Do Sani Sticks Dissolve Hair? Sani Sticks claim to dissolve many things, but hair is not one of them. For hair clogs, you may need to look at chemical options to dissolve the hair. Are Sani Sticks Safe for Drains? 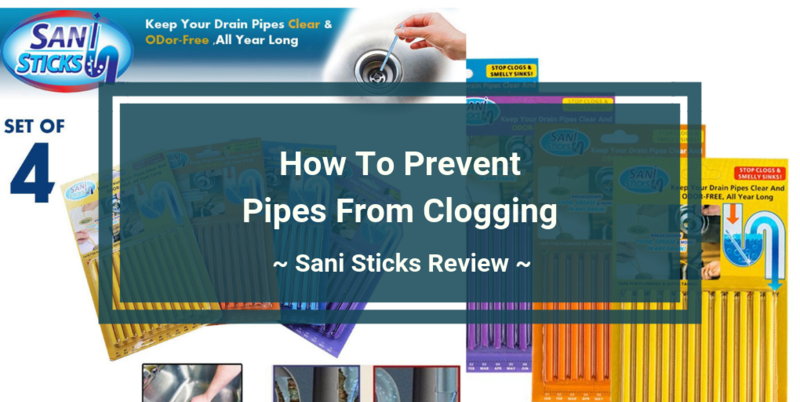 The manufacturer states that Sani Sticks are safe for drains, but the sticks won’t unclog a sluggish or clogged drain. Sani Sticks are supposed to dissolve slowly over time. So they’re not strong enough to take care of existing clogs. But for the best deals, you may want to try sites like Ebates.com which can provide you cash back, rebates, coupons or discounts on products like drain cleaners. 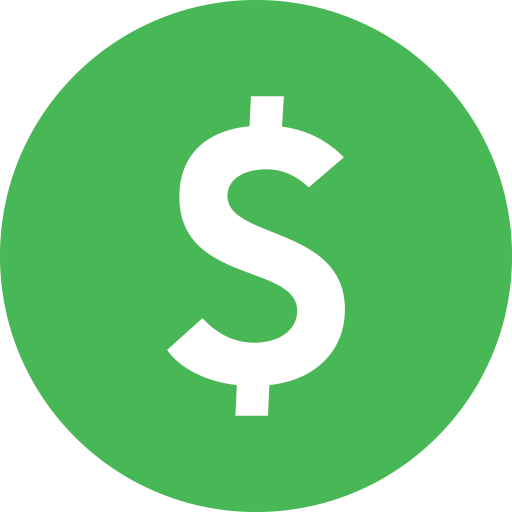 Swagbucks.com is another site to consider since they help you earn cash for things you already do online, and you can also earn cash back for shopping via their site. Ultimately online retailers like Amazon.com can help you save the most on purchases and offer benefits like FREE Guaranteed 1-2 Day Amazon Prime Delivery. All these deals will allow you to get Sani Sticks at a much cheaper price. Sani Sticks may be a good option if you are looking for an all-natural solution to prevent clogs. But you may want to check out the major complaints about using these sticks. They may change your mind about purchasing them. This product sounds good in theory. But many customers complain that the sticks don’t work as advertised. Their drains still smell. And there is still build-up in the pipes. Alternatively, other customers claim that the sticks took care of the drain odor. But there is too much conflicting information to say for sure if the smell stopped because of Sani Sticks or other factors. Next, this complaint may be costly. Apparently, undissolved sticks may actually clog your pipe. This may lead to having to hire a professional to remove undissolved Sani Sticks from the pipes. At the very least, you may need to buy a snake to remove partially dissolved sticks yourself. Green Gobbler BIO-Flow Drain Strips: First, you may want to check out Green Gobbler’s Bio-Flow drain strips. Sold in packages of 12, they are relatively inexpensive. And you aren’t stuck with more than you need if it turns out these strips don’t work for you. These Bio-Flow strips deodorize and clean organic build-up from your pipes. Similar to Sani Sticks, you drop one Bio-Flow strip into any sink and they’re good for one month. They are also non-corrosive and non-caustic. A powerful blend of enzymes breaks down common debris like fats, grease, food, oils, soap scum and other organic build-up. And they won’t harm your pipes, drains, or septic tanks. Drano Max Clog Remover: Alternatively, you may also want to check out the drain clog remover by Drano. This drain cleaner also contain powerful enzymes to clean and deodorize your pipes. They are suitable for both plastic and metal pipes. And they are also 100% safe to use for the toilet. Furthermore, Drano Clog Remover is also safe and non-toxic. They don’t contain any stains or dyes, too. Simply insert the gel into any U-shape drain and repeat monthly. Lastly, both Drano and Green Gobblers offer a money-back guarantee for their drain cleaners. Do Sani Sticks Really Work? Finding the right drain sticks may be a lesson in trial and error. But Sani Sticks seem to fail more often than they work. And it seems that the sticks not working may be the least of your concerns. You may want to try these drain sticks anyways. However, keep in mind that they do have instances of getting stuck in drain pipes. If that happens, at the very least you may need to snake partially dissolved sticks from your drain. There are alternative drain sticks and drainers cleaners on the market, though. So if you like the convenience of putting a cleaner stick in the drain once a month, there are other solutions. You can check out Green Gobbers as an eco-friendly option for a drain stick. The sticks are relatively inexpensive. And you may find comfort in the fact that Green Gobbers has an entire line of cleaning products. Another option is Drano’s drain cleaner. Their gel is backed by a money-back guarantee. So if you find that their cleaner isn’t effective for your pipes you can always ask for a refund. Finally, there’s no one effortless way to keep your pipes clean. But these drain cleaners may help minimize the work. Try one or all of them to find out which brand works best for you. After reading this Sani Sticks review, you should now have all the information you need to make an informed purchasing decision. But if you have more questions you can visit this product on Amazon.com and read the questions and answers section or other reviews there. Have you tried this drainer cleaner? If you have, please let me know your thoughts in the comment section below.